A praying mantis is an amazing insect that can be kept as a pet. A praying mantis can catch other insects with its strong front legs. The front legs are lined with spikes and close in a certain way to have a firm grip on the prey. A mantis has a mobile head that can turn around like humans can, large eyes, large front legs to grab prey and four legs meant for walking. Praying mantids vary in adult length between 1 and 16 cm. Praying mantids exclusively eat other insects by catching them with their forelegs. They do not use poison but eat the prey alive while they hold it firmly. 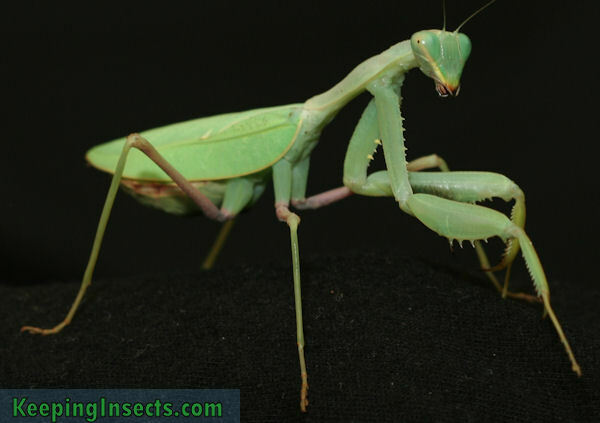 The praying mantis belong to the order of Mantodea. 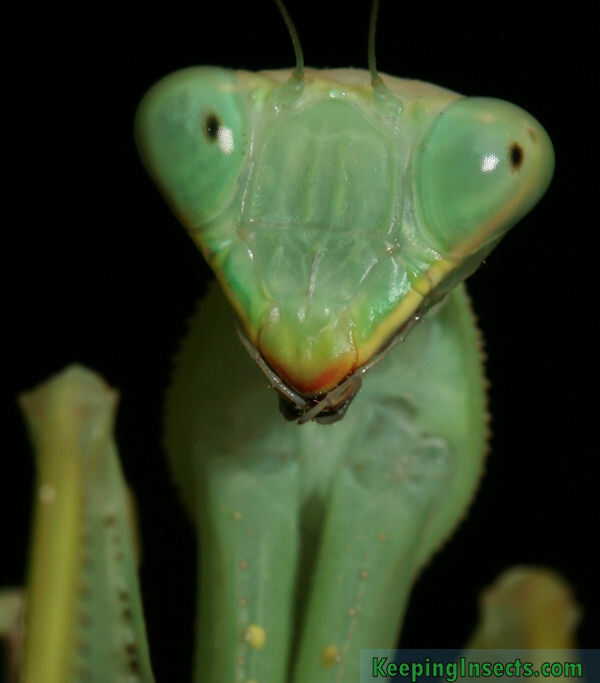 There are about 2300 species of praying mantis described. They occur on every continent except on Antarctica. In Northern Europe they do not occur. In Europe, many people see their first praying mantis on holiday in Spain or France. In the United States praying mantids can be found in almost any state. But the most extraordinary species and highest number of species can only be found in the tropical forest of South America, Africa and Asia.